Important note! These walkthrough and tips were originally written for the Wii version in which Link is right-handed. However in the Wii U version (normal mode), like in the GameCube version, Link is left-handed and therefore, all the maps, places and dungeons are inverted! What is right is left, what is west is east, and vice versa. The Hero Mode included in the Wii U game though, corresponds to the Wii version. 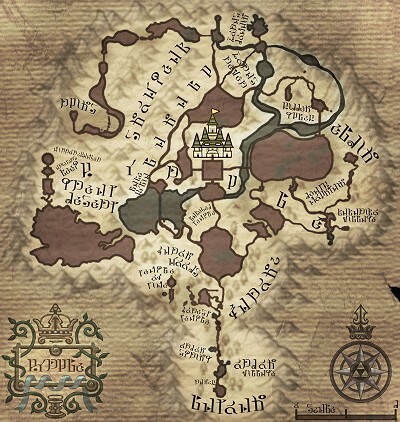 This map shows the Hyrule world in the Wii U version.